At the fish counter I asked the fishmonger for his best, freshest ‘white’ fish – meaning cod or halibut or other similar fillets. 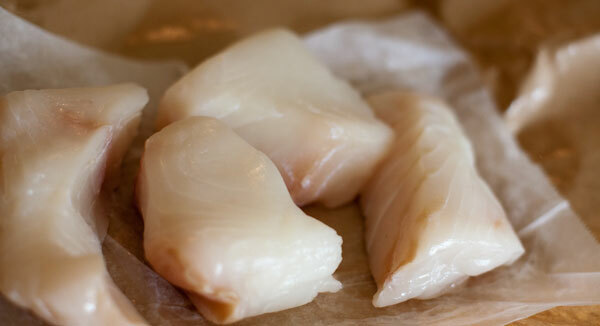 The line caught halibut from the Pacific was the best – and the most expensive – four 6 ounce fillets came to over $40 – still it’s cheaper than eating out and they were amazing – juicy and tender and everyone loved them. I’m thinking my meals are going to consist of a lot of fish and vegetables in the coming weeks/months and this is a good way to start. This is an expensive dinner because of the fish I chose – but you could use a much cheaper fillet of fish – tilapia would work although I’m a little fearful of farm-raised seafood and there are a lot of bad things being said about it so best to avoid if you can. With cod so over fished I tend to avoid this too. I have a spray bottle for my olive oil – something to definitely moderate the amount of olive oil on the asparagus. But we need some fat – and there’s no better fat than olive oil – is there? 2. In a baking dish lightly sprayed with olive oil arrange the asparagus spears, season with black pepper. Roast in the oven for 7 minutes. 3. As the asparagus is cooking place a large shallow saucepan over medium heat and bring the stock to a boil. 4. Add the garlic, onion and lemon quarters. Season with fresh black pepper, reduce the heat and simmer for about 10 minutes or until the fish is opaque. 5. Remove the asparagus from the oven and drizzle with lemon juice. Set aside to cool. 6. 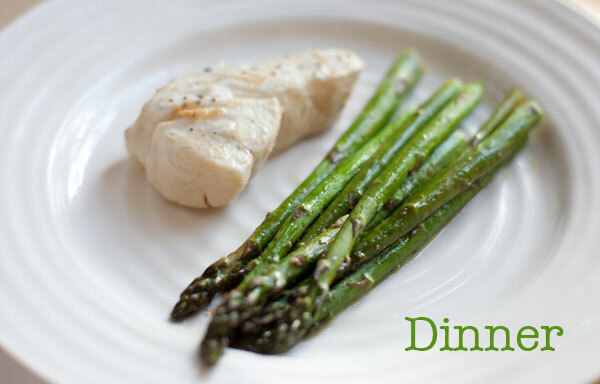 Divide the asparagus between the four plates and then place a fillet of fish next to it. Serve with a little more lemon juice and black pepper if needed. One reason why I like these Get Lean recipes is that I can adapt them for the family. Tonight we all sat down for a delicious fish supper. Rémy enthusiastically helped me make baby fried potatoes for him and Minty – an easy version of fish and chips. 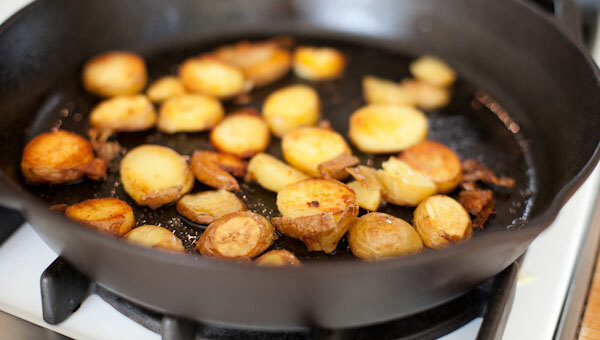 Boil baby potatoes in lightly salted water until tender to a fork, drain and cut into ¼ inch thick slices. Fry the slices in a cast iron skillet with a little olive oil until golden and crispy. For hubby I made a quick, healthy potato salad by mixing some of the boiled baby potatoes with a tablespoon of some Trader Joe’s tzatziki. Top Tip: I cleaned my teeth with the children tonight – this way I wasn’t tempted to raid the snack cupboard after they went to bed – another bad habit I have that I need to break! Tomorrow I will remember to keep hydrated all day and obsess a little more over the exercise… but it feels good to be going to sleep knowing I stuck to my plan all day.